We, at American Heating and Air Conditioning Repair St Louis are the leading heating and air conditioning Company of St Louis. We are known for our high quality and exceptional services that are professional and are the best in the entire St Louis city. 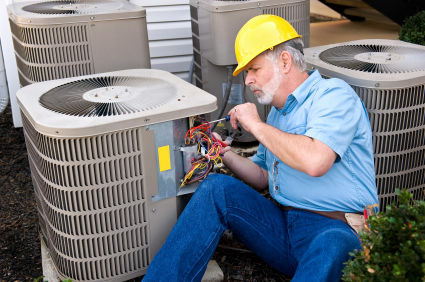 We offer you each and every type of air conditioning and heater repair St Louis services. Our services are available throughout the entire St Louis city and you can avail yourself of them anytime you require because we offer our services 24/7 so that we can assist you in the best possible way. We have hired an exceptional staff that is licensed, highly trained and experienced. They know very well how to repair the heater or air conditioning system of any type of make or model. The local technicians of our company will always have you covered. A preventative and regular maintenance of your heating systems can prove to be very useful and essential in order to keep you safe and warm during the cold winter month but sometimes, the maintenance also becomes insufficient due to the harsh winter months and thus, your heaters get out of order. If any such condition prevails then you should certainly hire our company’s exclusive services. Our licensed technician would be there with you in no time to provide you with the services that you require and you shall be soon warm and safe. We provide you with a lot of heating surfaces such as the gas or the oil furnace installation and repair services. They are located inside the home where furnace is comprised of a heat exchanger, burner and a fan assembly. A fuel source (oil / gas) is used to heat the air that is present inside the chamber and then the blower assembly moves air into the ductwork after going across the exchanger. We also provide you with the boiler services. They are a self-contained source of heat located inside the home. The heat exchanger heats the home through hot water distribution. We are known for energy efficient services. Thus, if anytime you require any sort of heater repair St Louis service then all you have to do is call our company and hire us because we are the best choice for you. We, at American Heating and Air Conditioning Repair St Louis guarantee you that you shall be completely satisfied from our services.